Stephen Anthony Jones stars as August Wilson in “How I Learned what I Learned” at Marin Theatre Company. Photo Credit: Kevin Berne. 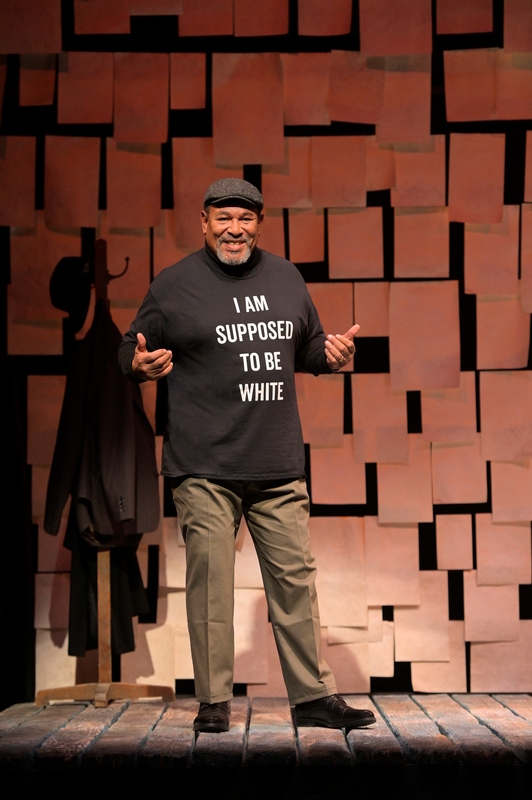 As we approach Black History Month, it is difficult to imagine a more pertinent body of artistic work than that of playwright August Wilson, whose Century Cycle chronicles the 20th century experience of African-Americans living in Pittsburgh’s historically Black Hill District. The Cycle (sometimes called the Pittsburgh Cycle) consists of 10 plays, each set in a 20th century decade. The plays present an astounding history of Blacks in the USA after slavery. Wilson created an incredibly rich tapestry of stories utiilizing a dazzling range of dramatic technique. While some are traditional well made plays with straight forward story telling, others have a political focus, and others are as poetically surreal as Tennessee Williams at his most phantasmagorical. Few theatre critics or practitioners would hesitate to class Wilson as a giant of 20th Century theatre, or, for that matter, as a giant of English speaking theatre through all the centuries. He is one of the few playwrights whose place in the canon is as assured as Shakespeare’s. Not long before his death, he developed his solo show, “How I Learned What I Learned” which he performed on several occasions as long as his health allowed. It is unlike any solo show I have ever seen. Often, a playwright will write a one-character play based on a famous writer (I’ve seen shows on Mark Twain, Emily Dickinson and Gerturde Stein which were all quite wonderful). But for a great playwright to write such a play with their own self as a character is, as far as I know, unheard of. Not to dis the genre, which has many fine practitioners, it has to be said that this autobiographical piece compares to more typical examples as “Little Mary Sunshine” compares to the best of Stephen Sondheim. The script covers many stories from the playwright’s early years, delineating his hard scrabble childhood and a history of lost jobs — jobs from which he would walk away whenever he encountered disrespect or racism, and he encountered a great deal of both. He goes on to describe his education amongst the Black artists, poets, and musicians of Pittsburgh’s Hill District (which he later immortalized in his Century Cycle). Along the way, he brings to vivid life an entire village of interesting characters: gangsters, poets, street people, lost souls. Always, he reminds us that Black is enough — there is no reason at all for Black persons to try to become more like white persons. Black culture, indeed, Black humanity, he insists over and over again, is sufficient and deserving and adequate for the fullest imaginable life. He stubbornly refuses any label or attitude that might suggest anything essentially underprivileged or inadequate about Black identity. And he does it while drawing upon a deep well of humor. This is heady stuff that was intended to be performed by the playwright himself, rather than an actor playing Wilson as a character. But Wilson has left us this script, and, my oh my, what a character he was. It is a fine thing that this work is available for performance and that such a fine actor as Steven Anthony Jones has brought it to life under the guidance of director Margo Hall. “How I Learned What I Learned” plays at the Marin Theatre Company through February 3rd, then continues with short runs at The Lorraine Hansbury Theatre and Ubuntu Theater Project, through March. For further information, click here, here, or here. “How I Learned What I Learned” by August Wilson, co-conceived by Todd Kreidler. Produced by Marin Theatre company in partnershiwith Lorraine Hansberry Theatre and Ubuntu Theater Project. Director: Margo Hall. Scenic Designer: Edward E. Haynes Jr. Lighting Designer: Stephanie Johnson. Costume Designer: Katie Nowacki. Sound Designer: Everett EltonBradman. Property Designers: Rachel Hurado and Liam Rudisill. August Wilson: Steven Anthony Jones. Stage Manager: Liz Matos. 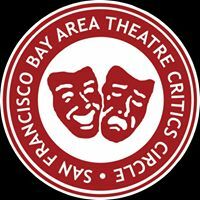 Posted in Reviews.Tagged August Wilson, Charles Kruger, How I Learned What I Learned, Margo Hall, Marin Theatre Company, Steven Anthony Jones, theatrestorm.